Readers share misadventures that illustrate a similar pattern to a scheme CBC Hamilton reported earlier this month. About a month ago, Bob Bell had had it with his front door getting stuck. So Bell, 86, searched online for a locksmith. And he's been kicking himself ever since – even more after reading a CBC Hamilton article about locksmith ads online that use addresses to appear like they have a bricks-and-mortar location near you. "I got bit," said Bell, who lives in a condo in Ancaster's Meadowlands. "I just did something on impulse that I have never, ever done before and I won't do it again, I'll tell you." Bell told his story to CBC Hamilton. So did an elementary school principal in Brampton who ended up paying more than $1,500 to get back into his home when the power was out and the only available locksmith was someone who immediately pulled out a drill and bored a hole in his door. And so did a web developer, who said he was out $3,000 after someone hired him — and then stiffed him — to make websites for 15 companies around the GTA using similar names. Their stories illustrate a similar pattern to a scheme CBC News reported earlier this month. Two local mechanics discovered they were among at least 19 businesses across Hamilton and the Greater Toronto Area whose addresses were being used by locksmith ads online. The Yellow Pages described the listings as "fraudulent" when asked about them by CBC News and has since removed them. Versions of the scheme manipulate Google searches to flood your screen with numbers that may or may not connect with locksmiths actually in your town. It has been denounced by bricks-and-mortar locksmiths and covered in the New York Times, the podcast Reply All and Money Magazine. The principal, Tim Pedersen, called it "an expensive lesson." "When you're stuck – which is when you need it most times – you're just Google searching and you don't know what you're going to get," Pedersen said. For Bell, the whole door-opening operation took a matter of minutes. "I went on the internet, checked these people out, they looked like they were OK," he said. "Then when I got the bill, it was $333 plus all of the other stuff" – much more than Bell said he expected. And after all that, the deadbolt didn't even fix the problem – Bell has the door working using a piece of duct tape over the latch. Bell's son went to go confront the company in person, using the address on the "Ancaster Locksmith" website Bell found. When he got to the address, he was at a Fortino's. When CBC tried to call, a man who said his name was "Steve" at the number on Bell's invoice denied any connection to the "Ancaster Locksmith" number that Bell said got him into this mess. "This is not our number," he said. "We do not claim anywhere that we do have a storefront, because we do not." Pedersen, the principal, found a number online for a locksmith to let him in his house when his power was out and his garage door wasn't working last October. It was a Sunday night. He'd been in Toronto all day. He lives in the country. And he was desperate to get to his dogs – his two labs were stuck inside. "You're totally stuck because at this point, we haven't been able to find anybody else who will either call back or come out," he said. "So the person says, 'I can drill the lock. It costs $300; do you want me to do it?'" Pedersen said. "And the dogs are on the other side of glass doors, pawing at the door." They got the door open. The dogs were relieved. But the technician didn't have the part needed. 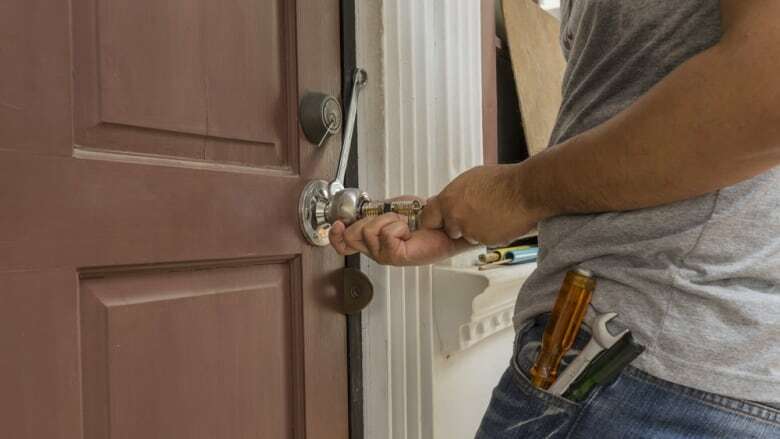 He recommended they call another locksmith in the GTA to come back the next day, saying it would cost more than $1,000. The next morning, his partner called a reputable locksmith they know. "They said, 'Oh that sounds ridiculous; they should've been able to pick a lock if they were a locksmith,'" he said. "They should've at least tried to do that." They decided to go with a different company, one recommended by the person they knew. All told, they had to pay $1,600 to fix it. They would like to see regulations for the industry that would keep companies from being able to prey upon vulnerable people. A coworker of Pedersen's used to be a locksmith and said the test of legitimate locksmiths was how they got to work. "If somebody showed up with a drill, they were not a locksmith," he said. 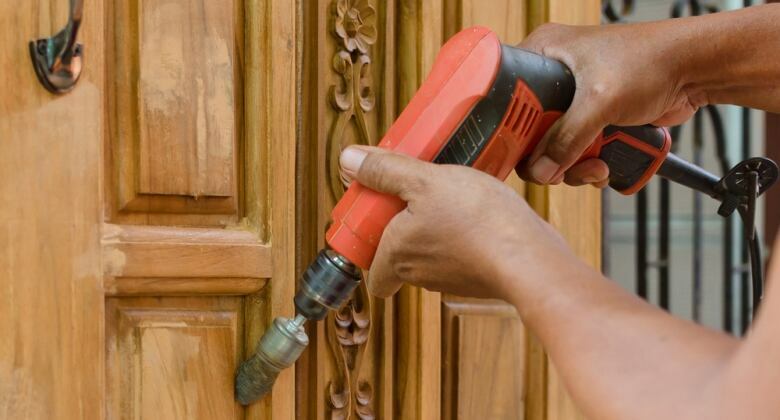 "Anybody with a drill can call themselves a locksmith." Joe Flores saw from a different angle how one locksmith set up his business to try to get calls. A locksmith saw Flores's Kijiji ad for web design and hired him to make one website at first, and then 15 similar versions. "It wasn't much to the design; it just basically had different pictures," Flores said. "I linked them all together so he would get better ratings on Google." "I think he just figured he was going to get more exposure. [Customers] are going to go to somebody that's close by." He was ultimately left in the lurch for nearly $3,000 he'd charged for the website design. "I don't expect I'll ever see it," he said.